Crews put out a fire in the 4800 block of South Butterfield Friday. 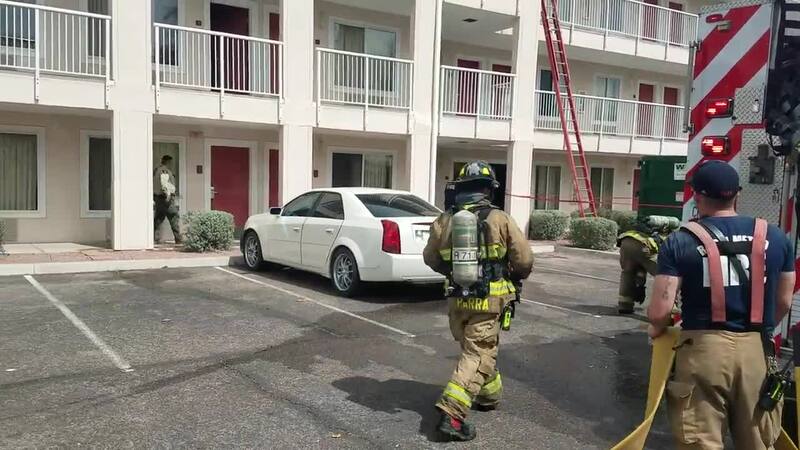 TUCSON, Ariz. — Rural Metro Firefighters responded to a fire near Irvington Road and Palo Verde Road on Friday afternoon. When firefighters arrived on scene they found smoke coming out a door and saw that an overhead sprinkler had gone off, containing the fire. Firefighters got the remainder of the fire under control. The source of the fire was determined to be accidental and due to improper storage of combustible materials near cooking appliances. No one was present at the time of the fire and no injuries were reported.